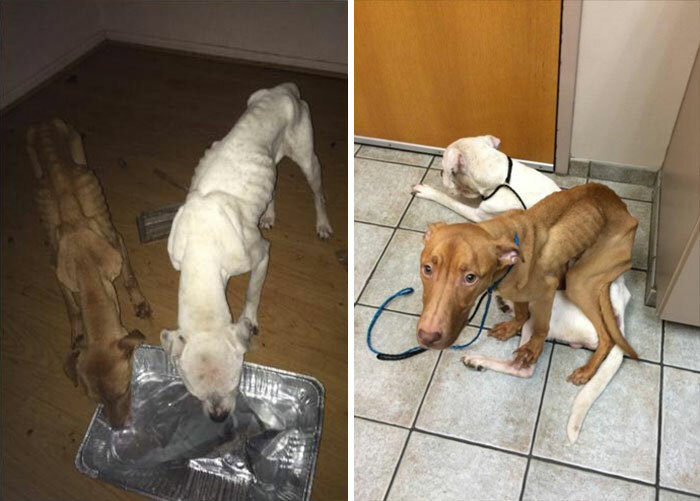 These two dogs, found starving in an abandoned building by the Chicago Police Department back in July, underwent a stunning transformation showing the difference that, love, expert care, and the right food can make. When they were found, Emmy (brown) and Oscar (white with spots) looked like walking skeletons. 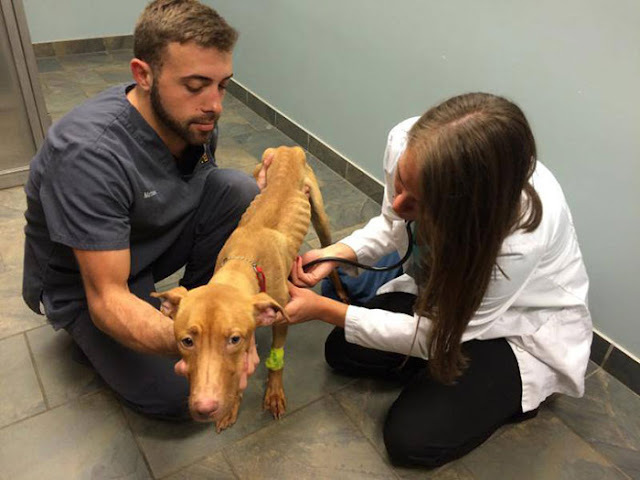 Both were suffering from various symptoms of starvation, meaning that the vets at the Trio Animal Foundation had to give them a specially regulated diet. Emmy was adopted by one of her vets while Oscar is still looking for a home. 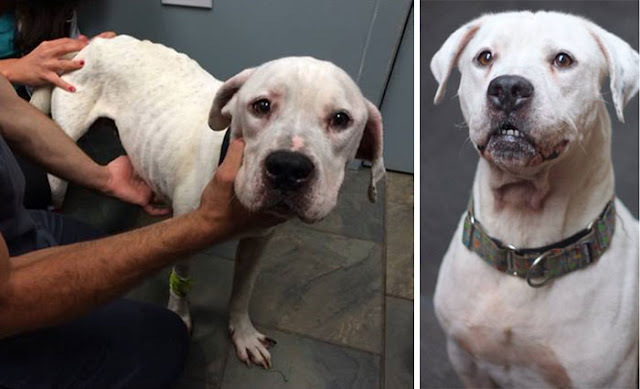 These before-and-after shots show how a little bit of love can do wonders! 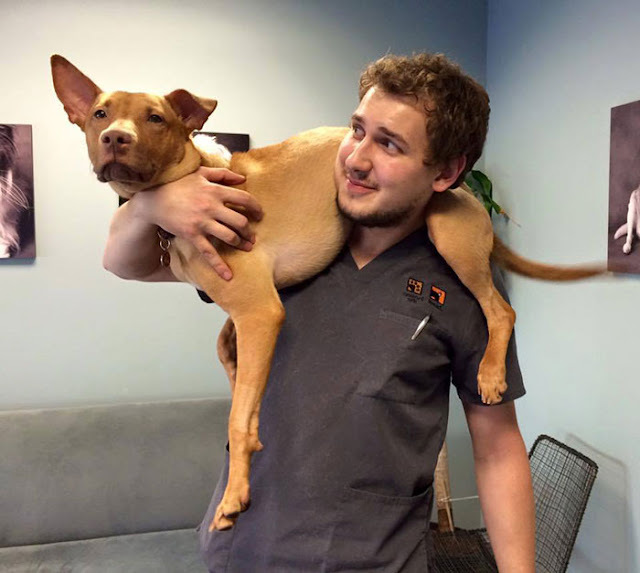 Oscar got in shape too, but he is still looking for a forever home! 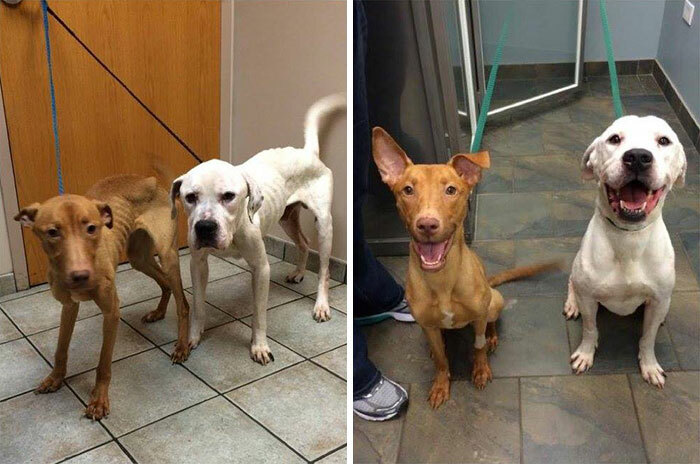 0 responses to "Two Starving Dogs Transformed From Skeletons Back To Dogs Again"